Home > Cusody/Child Support > What Is The New York Child Relocation Law? Custodial parents who want to relocate with their child/children may find it difficult to do so, especially if there is a provision in an Agreement or Court Order preventing the parent from moving with the child or if the other parent objects to the parent’s move. In cases where there is disagreement between the parents as to whether a parent should be able to move with the child, or where there is a restrictive provision preventing a parent from moving, the child’s relocation will need to be approved by a New York court. As is the case in all child custody arrangements, the New York court system will want to make sure a relocation is in the best interests of the child. To do that, the Court needs to examine how the move would impact the child. The Court’s inquiry includes the child’s relationship with the non-custodial parent, the child’s community connections, friendships, schooling, among a host of other factors. This decision redefined New York State law regarding relocation by a custodial parent. Prior to this case, the child’s best interests was the very last thing considered during custodial relocation. Under the prior law, the parent who wanted to block the relocation would first have to prove that the move would deprive him or her of regular and meaningful access to the child. If that could be proven, then the relocating parent had to prove extraordinary circumstances that required the move. Finally, if this was proven, then the impact on the child and his or her best interests were examined. This seemingly backwards process made cases very confusing because of the ambiguous terms and subjective analysis of “meaningful access” and “extraordinary circumstances”. The Tropea case eliminated this confusion by making it clear that all of the relocation factors are to be considered in determining whether the move would be in the best interests of the child. What this means is that the interests of the parents are no longer of primary importance and that relocating a child, long held to be detrimental to children, was no longer inherently bad. By implication, the Court determined that in some cases, the child may be well served by a relocation. In the Tropea case, the mother was permitted to relocate with the child, but not every case has the same outcome. Each case is different and every case will be evaluated independently on its merits, facts, and circumstances, but always with the best interests of the child at the heart of the decision. With this emphasis on what is best for the child, it is possible for a Court to give a custodial parent the choice of: a) moving and losing custody of the child, or b) staying in place and retaining custody. 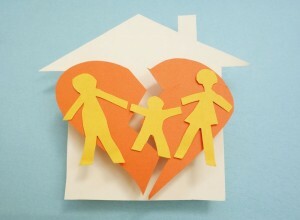 In some cases, the non-custodial parent has even opted to move with the custodial parent and the child rather than lose his or her connection with the child or to restrict the custodial parent’s mobility. A parent’s reasons for relocation, or a parent’s opposition to the relocation. The quality of the relationships between the custodial parent and child as well as the non-custodial parent and child. The impact of the move on the child’s future time and interactions with the non-custodial parent. Factors include quantity and quality of the time, distance between parent and child, visitation arrangements, child support payments and transportation issues. The benefits of relocation for the child including economic, emotional and educational. The express wishes of the child. How a move will affect stability in the child’s life, including access/availability to extended family, friends, etc. Our mobile society has made relocation custody cases increasingly common. If you are planning a relocation and need to modify your custody agreement, or the other parent has decided to move and you want to challenge the relocation, contact a Family Law attorney at Westchester Matrimonial today. We can help you navigate the extensive rules surrounding child custody arrangements in New York and help you build a case either for or against the move. We can be reached at 914-361-5500 or send us a message right now!